A solar powered light is a unit of items collectively works to lit up. Some of the main items of a solar powered light include, solar panel, a stack, LED light, batteries etc. Solar lights collect energy using a little solar panel, also called as a solar cell. Solar cells are made of a semi conductor of silicon, these semi conductors are some time act like a metal & allow current to flow. When light of certain wavelengths strikes it an atom in a solar cell, the electron gains enough energy to break away from the atom and jump, when this happens, an electron produces a current. This current used to charge a battery which will power the light. There is a sensor built into it which sense when the Sun is no longer up, then only the light turns On. Most of the light also comes with a switch for On/Off the light. Do Solar Powered Lights Work When It’s Cloudy? Guess what, most of yours answers would be a big NO, but it’s opposite to what most of you think. Actually, it’s partially true answer, but Solar Powered Lights do work in cloudy conditions, but they aren’t as efficient in cloudy conditions as during sunny days. Although they are will not produce their expected results in cloudy conditions but, they still do their job, even if at a reduced rate. 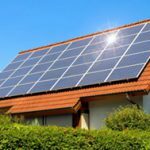 Is solar lights installation difficult? No, not at all, in fact installing solar lights in your garden is the easiest thing to do and won’t take much of yours time to do the installation; it can be done within few minutes. Since there are no wiring needed for installing the solar lights, you do not need to worry about the cluttering and confusing wiring schema to keep track of. Thus makes it easy for moving them in different location as and where needed without needing any electrician! Where to buy Solar Lights? You can buy Solar powered light online pretty easily. There are major eCommerce sites selling these items and can be shipped to your home within few business days. We recommend buying it from Amazon, which have the largest collections of solar powered lights for garden. 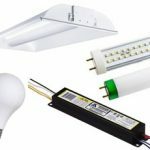 We compiled a comparative list of Best Solar Lights to choose from, you can view the interactive chart by clicking here. Where can we use solar powered lights? We can use it anywhere we need lighting, backyard garden, offices, hospitals etc for example. Make sure you install solar lights at a place where direct sun lights are sufficiently available, so that solar lights get fully recharge and can generate enough electricity to give you best result. 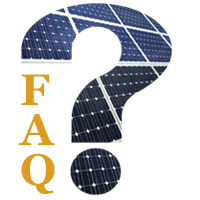 How much light a solar powered light provide? In a solar powered light Compact Fluorescent Lamp (CFL) are used. Approximately CFL consumes 70-80% less energy than an ordinary bulbs. The light output of 5, 7, 9, & 11 watts of CFL is becomes to 25, 40, 60 & 75 watts of an ordinary bulb. 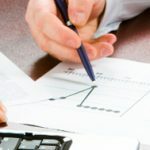 If you would like us to add more FAQs please contact us with your question and we are more than happy to answer your question and add them to this FAQ page. 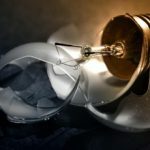 How long solar power garden lights last? They work for years if you take care of them properly. Just make sure if you are not using them, normally in rainy season, because of no Sun lights to get them charge, store them in a safe place. Make sure to pull them out of your garden, clean off any dust from the solar panel and/or glass or plastic of the light cover using some water mixing it with ammonia, clean them properly, pack them and store in a safe place for the next winter. While this is good for storing them what is it’s a winter season and the solar lights are in use? Simple, all you have to do routine maintenance on them. Cleaning them every now and then, clear off the snow (if any) of the lights, for example. It has been noted by some users that solar light don’t do well in storage for long period of time, so make sure you don’t put them for a long period in the store. 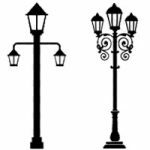 Difference between Solar Lights & Normal Lights? 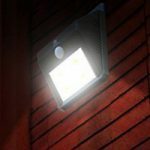 There is a huge difference in both of these lights, first and foremost the Solar lights uses Sun’s energy to charge small solar or photo-voltaic panel, which is fixed on top of the solar garden lights. This energy is then gathered in rechargeable batteries (Ni-Cad or Ni-MH batteries), which is in turned released as light when a sensor detects that there is no Sun light. If there is no Sun light, there is no recharging of batteries that means no lights at night! You need to have at least 6-8 hours charging before you can get a good full night light On. Whereas the conventional lights are use wired electricity, generally low voltage via transformer and is connected with the central grid system of you city.